Nothing says “girly girl" like the color pink. 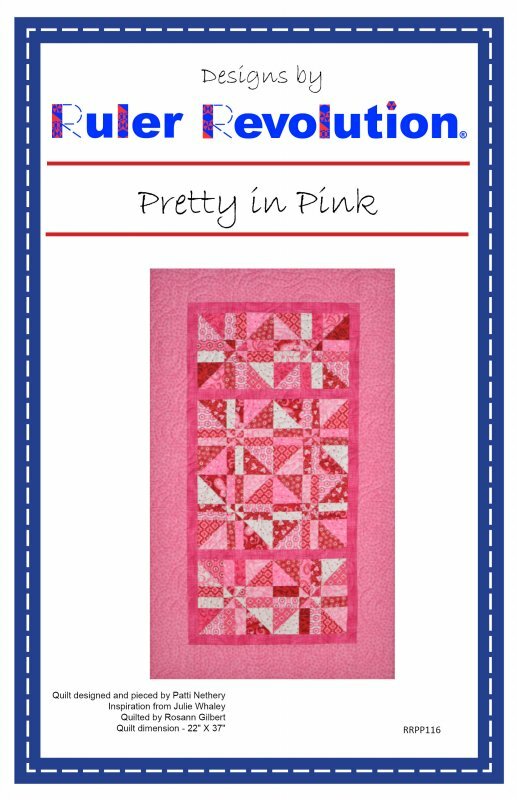 The sweet and sassy blocks in this quilt appear on first glance to be complicated but they are “sew” easy. Each block is constructed using 4 – 4 ½” half square triangles.